The entire AlpEnMAT system will follow an innovation as well as mountain oriented approach to create a joint promotion strategy. It will show that specific capabilities of providers, the rich and diversified economic structure and the attractiveness of the Alpine Space itself can be exploited to create a unique selling proposition for key technologies. 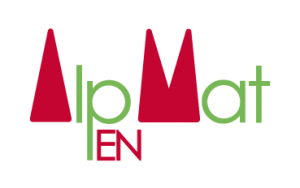 AlpEnMAT increases visibility and proves the attractiveness of Alpine Space regions for investors and qualified workers. The effective promotion system helps SMEs to better position themselves in the domestic and global markets. With its built-in quality improvement and assurance system AlpEnMAT will foster SMEs to revisit their research and development as well as their own promotion schemes. By promoting climate friendly technologies AlpEnMAT addresses key areas of sustainable development. Last not least, the Alpine Space Programme will receive valuable input from the entrepreneurial world for period 2014-2020.